Divorce is often characterized in our society as highly contentious, with intense emotions, competing priorities which often lead to a nasty, bitter end to an unhappy marriage. Conflict is the foundation for many divorces in our country — but it does not have to be this way. Rather than looking at divorce as a battle, it is possible to view it differently. Divorcing spouses can instead choose to settle the terms of a divorce with cooperation and a focus on the future, rather than the past. In fact, the idea that you and your soon to be ex-spouse are partners, rather than adversaries can go a long way toward finding solutions that put your family first and help you through this difficult time. 1. Equitable division of property, assets and debts. 2. Development of a parenting plan which outlines how your children will split their time between you and your divorcing spouse, including summers and holidays. 3. Negotiation of child or spousal support payments based on financial factors dictated by Minnesota law. Rather than viewing divorce as a win/lose proposition, solutions can often be found when a couple works together to find solutions that keep the best interest of the entire family in mind. Divorce mediation offers the couple a chance to maintain control of all of the variables in a divorce — after all, the two of you understand the family dynamic best. A mediator does not function as a decider, but instead facilitates productive discussion around the issues that you and your divorcing partner have identified as important. 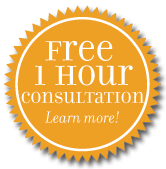 Divorce mediation cost less than proceeding through the court system and can take weeks, if not months, less time. So, as you think about navigating divorce, consider whether you and your spouse can take the novel approach of being partners in the process, rather than adversaries. Our team at Johnson Mediation can help you follow this path by using mediation to settle important aspects of your separation and divorce, as well as any issues that come up post-divorce as well. If you live in the Bloomington, MN area and would like more information, call us today at 952-401-7599.